When the magazine New Scientist decided to check the claims made by hypnotherapists and conducted a now famous large scale study. All the well known stop smoking methods were compared. It was found that hypnotherapy was the most effective method. This recording utilises the most up to date and effective techniques and a straightforward approach which has been developed and fine tuned through Darrens many years in practise. 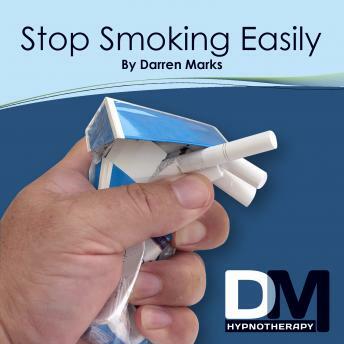 If you are really determined to quit smoking, this recording which employs the same methods darren uses in his live practise, will make will make it much easier and it feels wonderful to be free from cigarettes.